Centre Testing International Corporation (CTI) Suzhou has successfully completed powertrain mount durability and radiator/ cooling fan tests with a customized hydraulic simulation table (HST) delivered by Moog. CTI is a comprehensive third-party agency that specializes in testing, calibration, inspection, certification and technical services. As a vehicle components durability test service supplier, CTI required multi-axle road simulation testing capabilities for one of its most important customers in China, GM PATAC – a joint venture between General Motors and Shanghai Auto Group, which has become one of the most renowned vehicle R&D institutes in China. The HST consists of a compact and light platform and base plates on which stress-resistant hydrostatic jacks are assembled with rods jutting from the jacks connected to the platform structure. To meet the unique needs of the application, Moog engineers customized the system in several ways. To complete the test, CTI prepared a vehicle half body, and powertrain assembly and pillars as fixtures for connecting test mounts (engine, transmission, rear end) with the HST. Moog designed one rotary actuator with a connection fixture that was used to add torque input to the engine to simulate engine torque output and add force on the test mounts at acceleration/deceleration events. An accessary electric heating system was also used to simulate the circumstance temperature of each mount area. Closed-loop control of temperature was achieved by a heating gun PLC controller and temperature sensors, and the temperature set point was determined from thermal CAE analysis or vehicle real road RLDA. 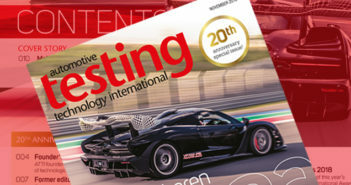 Another key innovation of the HST is the way the software is used to decrease the total road simulation durability test period while retaining road fatigue damage on the test mounts. During the mount durability test process, road raw data is collected from the proving ground for various rough-road events through a data acquisition device with transducers put on key vehicle positions to obtain sufficient iteration response and correlation signal data. After obtaining the raw data, abnormal and smaller amplitude signals are analyzed and deleted by assessing raw signal amplitude on the time history domain, PSD on the frequency domain, and rain flow/pseudo damage on the fatigue domain. 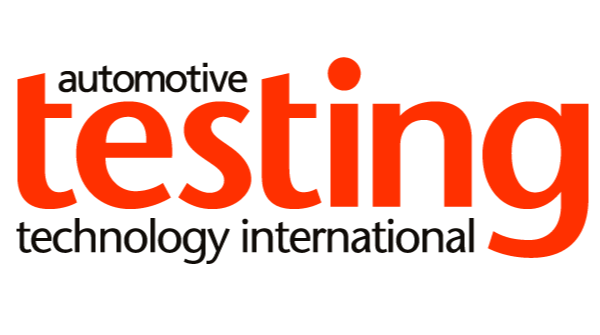 Visit Moog at Booth 5018 at Automotive Testing Expo China 2016. The show is being hosted at its new venue, The Shanghai World Expo Exhibition & Convention Center, from September 27-29.